Are you aware that South Africa’s membership of CITES (The Convention on International Trade in Endangered Species) began way back in 1975; that, at that time, CITES stood for promoting and regulating the international wildlife trade and stopping the illegal trade; but that its objective, today, is to PROHIBIT the Wildlife Trade. This has come about because two-thirds of the accredited NGOS at CITES are animal rightist in orientation (whose purpose in life is to abolish all animal uses by man); and because they have ‘captured’ the convention, and the CITES Secretariat. They also contrive to buy sufficient votes from the state delegates at every convention to be assured of achieving the consensus vote that favours their personal preference (prohibition). This makes the convention 'corrupt'; and an animal rights weapon with immense power. It also works against the best interests of Africa. The South African public, therefore, wishes that you should provide us with the reason why South Africa remains a member of this organisation; and or why it is necessary that we should be bound by their wildlife trade decisions that work against South Africa’s - and Africa’s - better interests. We the undersigned call on the Minister of the Department of Environmental Affairs of South Africa to petition CITES to revoke the prohibition on rhino horn trade. Hundreds of thousands of rhinos have been poached for their horn since 1975 - and in many African countries, rhinos have become extinct. SO THE BAN HAS NOT WORKED. South Africans and many other nations, therefore, believe that we need to unban rhino horn trade to solve this problem - a problem that might well force ALL of Africa’s rhinos into extinction. 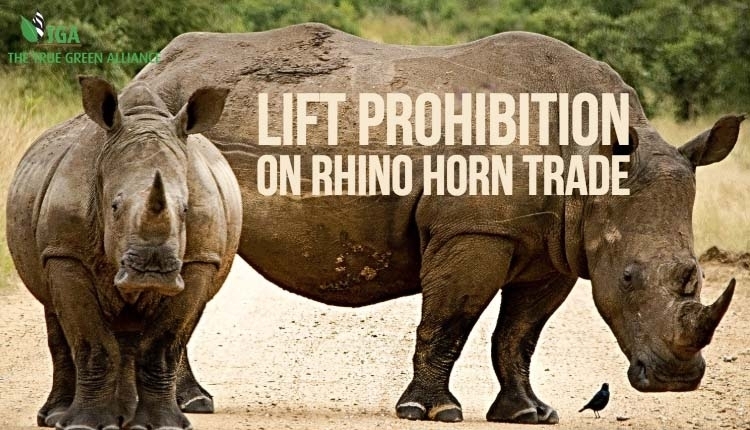 The Lift the prohibition on rhino horn trade petition to Minister of Environmental Affairs – Ms Edna Molewa was written by The True Green Alliance and is in the category Government at GoPetition.